Adoption Makes Family was founded to meet the needs of birth parents and adoptive parents in a manner that is sensitive, compassionate, and personal. We are a non-profit (501-C3), licensed adoption agency based in Maryland. Our highly trained staff is prepared to meet the needs of birth parents and adoptive parents, as well as children in need of a loving home. We are dedicated to providing personal and professional adoption services. 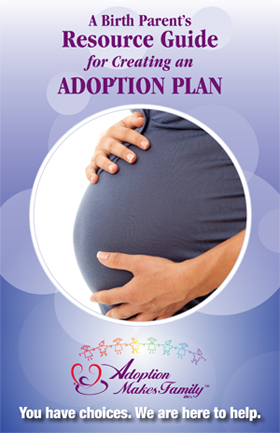 …with a sensitive, positive and affirming environment to explore the options necessary for creating an adoption plan. …through a caring, informative and compassionate environment, allowing adoptive parents to explore every aspect of adoption and assisting in the fulfillment of the requirements necessary for the adoption process. 3. To find the most loving, caring and suitable home for a child. The professionals at Adoption Makes Family have spent many years sharing their experience in birth parent services, conducting home studies as well as placement and counseling services. The staff at Adoption Makes Family puts people before the process, we ensure every adoption plan is customized to the individual family’s situation and needs. We dedicate ourselves to ensure that your adoption needs are met in a personal, compassionate and professional atmosphere.